Time to get some dirt under our nails... And pretty much everywhere! Last week Bunny and I started some seeds in egg cartons. Tomatoes, peppers, broccoli, egg plant, spaghetti squash, cucumbers, cantaloupe, watermelon, and more! A couple of days ago, we were excited to find that several of them have already sprouted. Today, we are planting sugar snap peas and a few other things in our little box gardens out back. I can't wait to have them full of fresh, healthy, homegrown, organic veggies! I am so appreciative of Becki from Organic Aspirations for allowing me to co-host Eco-Kids Tuesday and of all the bloggers who take time to link up their great eco-happy ideas to share with me and you! Bunny is ALL about worms. She hunts for them everywhere, looking for big ones (mamas) and little ones (babies). 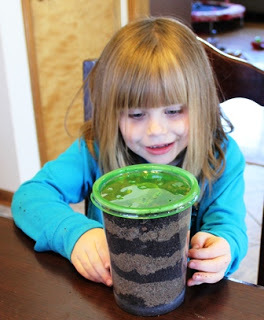 She is going to LOVE making this earthworm habitat shared by We Made That!! Who Has Time for the Gym shared great nature scavenger hunt! This is something I plan to do with Bunnny and the playschool children! Something I am very interested in is edible plants in nature. We teach of playschool children about dandelions and violets being edible. Bunny knows to hurry and get some plantain (as well as how to chew it to make a poultice) for a friend's boo-boo or bee sting. 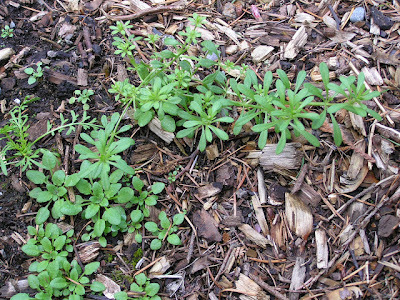 A Life Unprocessed shared a wealth of info, as well as very good pictures, on edible weeds. Hazel and Company have been planting seeds, too! Her little ones enjoy helping mama, just as Buny is loving helping me with this task! We have been eating totally sugar-free (even very limited natural sugars for now), gluten-free, and unprocessed foods-free since January 1st, with a lot of good success (weight loss, better attitudes...). 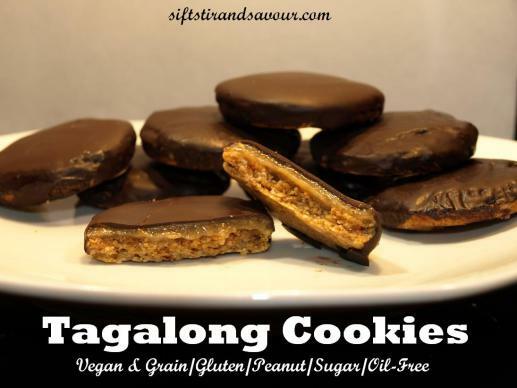 This recipe from Sift, Stir, and Savour is one I am going to try out when we need a special treat! oh I love your pics! 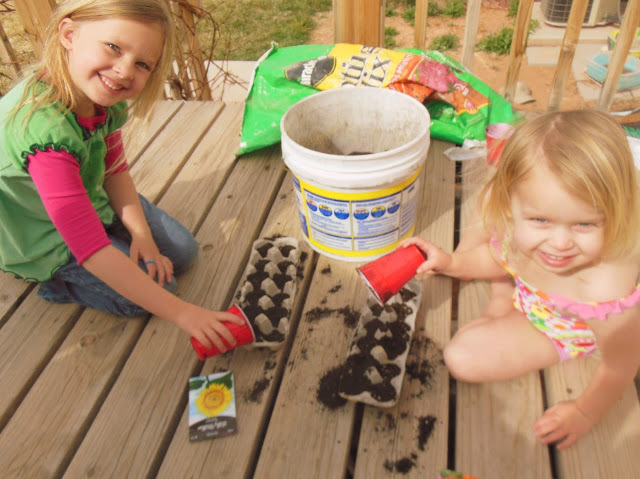 We have been doing some seed planting too with my twins...I shall link it up now...thanks for hosting! Lovely! We've been doing some planting too! Just waiting for the weather to turn so we can actually put them in the ground! Thanks for sharing. It is always fun to link up at Eco Kids Blog Hop. I'm sharing my 13 year old daughter's decadent body butter. She made it last week to sell at a fundraiser Saturday night. It is really easy to make. She also made other body care products so I hope to link up another one later today.. Thanks so much for featuring our Earthworm Habitat! That is awesome your daughter loves worms so much too. My oldest just thinks they are so cool! And a big thanks for hosting each week! Thanks for sharing my post! :) Good luck with your garden! The seedlings are looking great so far! We started ours recently in our peat pellets (and I'm having a giveaway for some pellets on my blog if you're interested!). I linked up photos of my new baby chicks this week :) Thanks for hosting! I love seeing that everyone is starting their seeds! I must try those cookies too! 1. DIY Herbal Shampoo- Part of the Toxic Free DIY Mini Series, you'll learn how to easily make your own herbal shampoo! 2. Trekking Across Country w/a 2 Year old: My long journey from Tampa, FL to San Francisco, CA with my inlaws and toddler plus my disgusting food experiences. I couldn't wait to have my fridge in walking distance! Thanks for the invite to link up! Lots of great ideas to check out! Egg cartons! Genius! I'm always looking for new things to plant in! I love the sprouts! We have planted our seeds in egg carton containers with great success. I can't wait to see pictures of your plants as they grow :-) I had more in my head to write but then you hit me at the end of the article with the tagalong cookies so I got distracted and will be hopping over to look at that recipe :-) Thank you for linking up this week to our Hearts for Home Blog Hop! haha yeah, the cookies did me in too!